If you have a product to sell...a service to demonstrate...or a concept to promote... Don't Miss This Opportunity! The Spring Fair, sponsored annually by Raven Productions, is the premier Home and Garden showcase in southeast Idaho. With room for over 200 vendors, Spring Fair attracts thousands during the three day event held annually in Pocatello, Idaho. In addition to the wide array of hot tubs, car and truck accessories, ATV's, artwork, cookware, clothing, and jewelry, Spring Fair features more home improvement ideas and products every year, as well as plenty of landscape ideas, lawn and garden equipment, and expert advice on maintenance. One stop shopping for siding, roofing, windows, doors, cabinets, countertops, and complete kitchen and bathroom remodels. 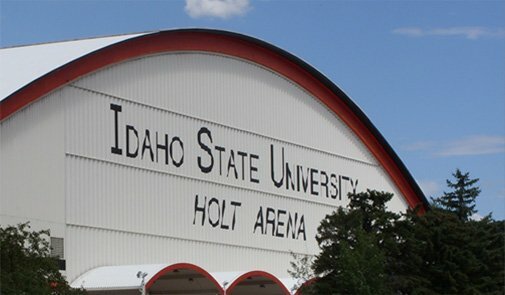 Everything for you, and your home, is centrally located under one roof at Idaho State University's Holt Arena, home of Spring Fair. Spring Fair continues to be the most cost effective form of marketing that will enable you to show and sell your products/services to thousands of potential customers.